I once told a friend that I didn’t have any guilty pleasures because I don’t understand feeling guilty about whatever art you happen to enjoy. This remains true. However, as we’ve seen, sometimes this lack of guilt/shame means that I end up investing in works for which I am way, way outside of the target demographic. Since I’m sure you’re wondering: I decided to read 13 Little Blue Envelopes as a result of my belated viewing of the VlogBrothers catalog. Given how much I’ve enjoyed John Green’s work lately, I figured I ought to try out a book by one of his good friends (Johnson) that was recommended in a VlogBrothers episode. And now I want to backpack around Europe. That was my main takeaway from 13 Little Blue Envelopes: it would be really fun to backpack around Europe. The book, which is about finding yourself (by means of backpacking around Europe), is short and cute and its extremely minimal use of exposition keeps things moving at a breakneck pace. It’s also not meant for me (read: a guy approaching 30) and it turns out that being decidedly outside of a book’s target audience can sometimes diminish your enjoyment of said book. 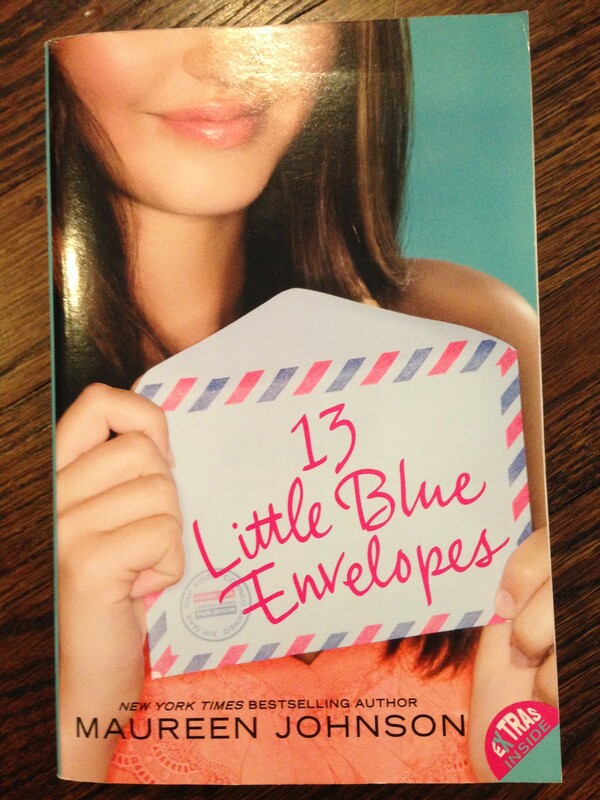 13 Little Blue Envelopes is an extraordinarily quick read, so while I wouldn’t necessarily recommend it to my peers, I imagine that it would be easily read and enjoyed by anyone in its target market (namely adolescent girls). Most importantly, though, since I read it so quickly, I didn’t end up sitting with it in the break room at my work. Which is good because that cover probably could have induced some guilt, even in me.